Kristin N. Blake serves as Senior Counsel in the Sacramento office of Klinedinst PC. Before joining Klinedinst, she was the Co-Chair of a Sacramento firm’s Environmental Law Practice Group. As part of the firm’s Real Estate, Construction, Land Use, Employment, and Environmental practice groups, Ms. Blake represents corporate and insurance clients in a variety of litigation involving land use, real estate professional liability, and construction. She has worked with regulatory agencies including the Environmental Protection Agency, California Regional Water Quality Control Board of Central Valley, the California Environmental Protection Agency, U.S. Army Corps of Engineers, and the Department of Toxic Substances Control. Ms. Blake represents both residential and commercial developers and subcontractors in all aspects of construction litigation, including claims involving construction defect, land acquisition, entitlements, permitting, and wetlands mitigation. Additionally, she counsels and defends HOAs in litigation by members involving enforcement of CC&Rs and other land use disputes. As a member of the firm’s Employment and Labor group, Ms. Blake provides counsel and guidance to help employers stay in compliance with California’s employment laws. Ms. Blake served as a legal consultant for the National Water Resources Association in Arlington, Virginia. During her tenure, she assisted with the organization and presentation of research before the United States Senate on a variety of topics, including the Endangered Species Act and state water laws, Comprehensive Environmental Response, Compensation, and Liability Act (CERCLA) and RCRA. She then relocated to Sacramento to counsel private clients on matters involving mining, land use, and regulatory permitting, and matters involving environmental statutes including the California Environmental Quality Act (CEQA), NEPA, Surface Mining and Reclamation Act (SMARA), ESA, and the CWA. Ms. Blake is active in the legal community. 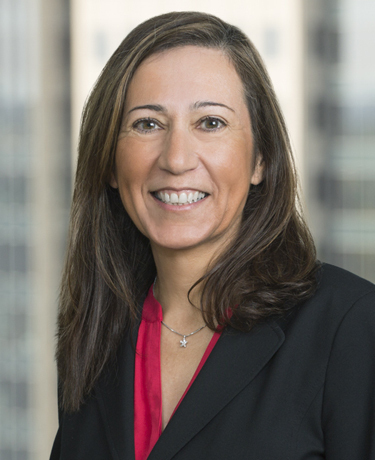 She is a member of the California Bar Association’s Environmental Law and Real Property Law Sections, as well as Women Lawyers of Sacramento. A graduate of the University of the Pacific, McGeorge School of Law, Ms. Blake was a Moot Court Finalist. She served as a Legal Fellow with the Environmental Protection Agency, and an Environmental Enforcement Fellow with the U.S. Department of Justice. While attending George Washington University Law School’s Environmental Law LLM program, she was an LLM advisor for the GW Law Review, The Environmental Lawyer.